My Natural Disaster adventure started, like many adventures, in the grocery store. I had popped into my local supermarket on the way home to pick up the basics: bread and milk. I wanted to get in, get out, and get home. Instead, I found myself standing, 2% in hand, staring at a wall sky-high with plastic packages. My goal: locate a whole-grain loaf with no preservatives. The whole-grain thing should go without saying: whole grains are good for us. When it comes to bread, whole wheat is nutritionally superior to processed white. We all know it. It’s been drilled into our heads. 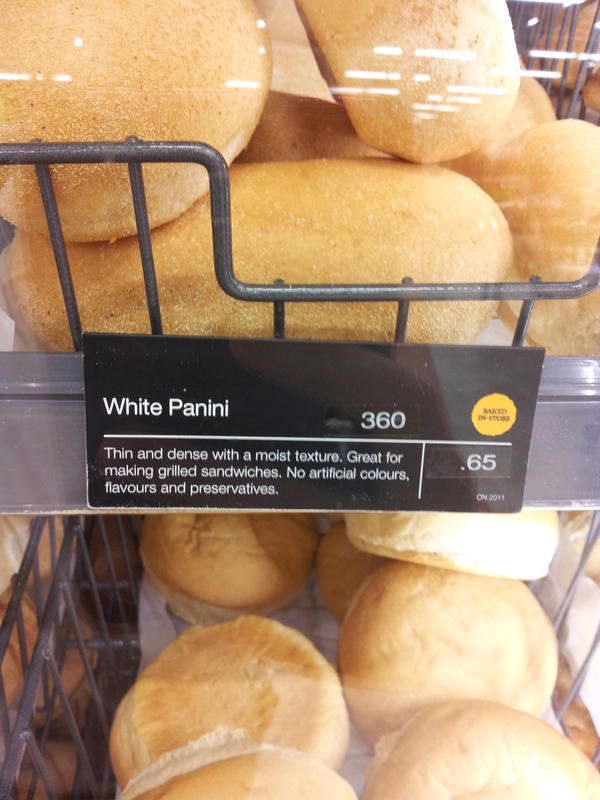 Preservatives, on the other hand, are a bit more abstract. Maybe they’re not bad, per se, but they aren’t what anyone would call health food. (In fact, are they even considered food?) For me, preservatives are creepy when they’re put into foods that don’t need them. Preservatives to keep your liquidy, primordial-soup for bacteria salad dressing from going bad? That sounds necessary. Preservatives to keep your bread fresh a few extra days? That seems superfluous. I started my routine of flipping over each loaf to check the labels. The first one included calcium propionate. Okay, no big deal, return it to the shelf. I kept checking – but each loaf had its own list of sinister-sounding (or just plain non-food) ingredients: diglycerides; sodium stearoyl-2-lactylate, some kind of “esters”. Seriously, isn’t bread just flour, water, salt, and yeast? Where’s the plain old bread? Increasingly frantic, I flipped and returned, flipped and returned until I ran out of loaves to flip. Not a single loaf was both whole-grain and preservative-free. I stepped back from the bread aisle and took stock of the situation. Was I being unreasonable? All I wanted was a loaf of regular, old-fashioned bread. Ragged, I grabbed some loaf or another and headed for the checkout. But I resolve to find out why healthy choices aren’t available. I’m certainly not the only person looking for food. Real food. Natural food? Call it what you will – unprocessed, whole, preservative-free, organic…I am one of many trying to eat what’s best for my body. I don’t have a clue what calcium propionate is, but I do want to know what it’s doing in my bread. And I’m going to find out. Calcium propionate is the calcium salt of propionic acid. It’s an antifungal which lets the bread factory not have to clean as frequently and keeps the bread from going mouldy as quick. It also functions as a dough conditioner so that the bread feels squishy longer. However, independent studies in Britain and Australia have linked it with irritability in children which is closely related to ADHD. Also about 5% of the population exhibits some degree of inability to metabolize the amount of it being added to foods. Speaking from personal experience, it causes indigestion, diarrhea, athsma, runny nose and thickening saliva. This varies by degree of exposure.